2010 World Economy Growth Forecast: 4.6%… In July, the International Monetary Fund (IMF) said that the global economy would grow at a rate of 4.6% — the highest rate since 2007. China’s 2010 Economic Growth Forecast: 10%… Economists are forecasting that China will experience a double-digit growth rate of 10% for year 2010. That will be faster than China’s 9.1% growth rate last year. India’s Economy Grows at 8.8%… India continues to be a bright spot in the global economy as the second fastest-growing, behind China. In 2nd quarter of 2010, India’s GDP was up 8.8% compared with the same period last year. But along with the economic growth has come rising prices. India’s central bank has had to raise interest rates four times this year to tame inflation. July’s inflation rate in India was 11%. Russia’s Economy Grows at 4%… For the first half of 2010, Russia’s economy grew at a healthy pace of 4%. Not bad for a country suffering from the worst drought in decades. The droughts have led to the loss of 25% of the country’s crop yield so far this year. Germany’s Unemployment Rate at 7.6%… Germany’s official unemployment rate for the month of August came in at 7.6%. While that may sound high, this is the lowest jobless rate that Germany has reported in two years. It is also lower than many of its European neighbors. Greece, for example, is suffering from massive unemployment – as high as 70% unemployment in some parts of the country. U.S. Economy Grows at 1.6%… And that was better than many analysts had expected. The numbers were revised down mainly due to the largest surge of imports in 26 years. Countdown to the Largest Tax Hikes in U.S. History… In just 120 days, the largest tax hikes in the history of America will take effect. They will hit families and small businesses in three great waves on January 1, 2011: 1) The expiration of previous tax relief bills 2) Obamacare 3) The AMT and Employer Tax Hikes. ADVERTISEMENT: For the best prices on gold and silver, or for a free precious metals consultation, call Tom Cloud. Tom has over 30 years experience and offers free shipping and insurance on your entire order when you mention that you heard about him from FTMDaily.com. Call (800) 247-2812 to speak directly with Tom Cloud today. Gold and silver continued to catch investor’s attention this week, with gold rising to a two month high above $1,250, as fear of another crisis drove investors toward the safe haven offered by precious metals. Historically, September is a profitable month for gold. On average, the price of the yellow metal rises around 2.5% from its August price. I expect gold and silver prices to continue their upward trend throughout the remainder of 2010. One good strategy would be to buy on the pullbacks. China’s Insatiable Demand for Gold… There is a sustained demand for precious metals growing in China. Some feel that the introduction of this new demand will create a new price floor, possibly preventing gold from ever dropping below $1,000/oz again. You can read more here. $10, 400/oz Gold?… First, there was the release of a startling 71 page report by investment analyst, Ronald-Peter Stöferle. In the report, Stöferle predicted that gold could reach $10,400/oz, silver could reach $650/oz, and oil could reach $250/barrel. Tom Cloud’s Update… Last week, Tom gave a buy signal on palladium to our listeners. One week later, palladium was up almost 5%! Do yourself a favor and take five minutes every week to listen to Tom Cloud’s Precious Metals Market Update. Listen to this weekend’s update here. A 20%+ Annual Return?… Investors continue to demand gold as the economic crisis appears to be deepening and markets growing even more uncertain. Demand is coming as investors buy physical gold, ETF’s, and as central banks continue seek diversification of their reserves through the purchase of precious metals. According to a Bloomberg poll, many investors, analysts, and traders expect gold reach $1,500 by next year. If gold were to reach $1,500 that would represent a 21% increase from the metal’s current price. Problem Bank List Rising… The government’s list of troubled banks at risk of failing rose by 53 to 829 in the second quarter of 2010, according to a FDIC report. This is the highest level seen since 1993. So far this year, 118 banks have failed, with 45 closings during the last quarter. Click the chart to the right for more. More Stimulus Coming… The White House is considering a new round of financial stimulus, this time designed to encourage American businesses to begin hiring new employees. The new business tax breaks under consideration include a payroll tax holiday and a permanent extension of the research and development tax credit. The tax breaks would potentially be worth hundreds of billions of dollars. August Employment Situation… Nonfarm payroll employment changed little (-54,000) in August, and the unemployment rate rose to 9.6 percent, the U.S. Bureau of Labor Statistics reported on Friday. Government employment fell, as 114,000 temporary workers hired for the census completed their work. Private-sector payroll employment continued to trend up modestly (+67,000). Consumer Bankruptcies Still Rising… Consumer bankruptcy filings have increased every year in the U.S. since 2006. Massive debts, high unemployment rates, and declining home values are just some of the economic problems facing the more than 1.6 million Americans who will file for bankruptcy protection in 2010, according to the National Bankruptcy Research Center. 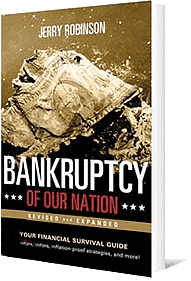 In 2009, 1.4 million Americans filed for bankruptcy protection – up 32% from 2008. Auto sales: Worst August since 1983… U.S. Automakers reported that sales in August were down 21% from last August, making it the worst August for auto sales industrywide in the last 27 years. GM sales were down 25% for the month from the previous year. Ford sales were down 11%. Toyota sales were down 34%. Honda sales were down 33%. Nissan sales were down 27%. The automaker to increase sales for the month was Chrysler: sales were up 7%. Homelessness up 50% in NYC… The homeless rate is growing at a dramatic rate in New York City. In Manhattan, the homeless rate is up 47%. Brooklyn experienced a 100% increase in its homeless rate. And more than 1,000 people now live in New York City’s subway system — up 11 percent in the past year. ADVERTISEMENT: Are you looking for a trusted Christian Financial Advisor in your area?Find one now by visiting the Christian Financial Advisor Network online at http://www.cfanetwork.org. Mideast Peace Talk Begin… The first direct Israeli-Palestinian peace talks in two years began this week in Washington. The talks have incited fresh acts of violence in the West Bank. In usual form, Iranian President Mahmoud Ahmadinejad urged Palestinians to keep up the violence and protests against Israel. Global Food Crisis Deepens… The prices of food commodities continue their march upwards in September further aggravating the risk of food shortages and ensuing riots. Recent concerns have come from Russia’s ban on wheat exports until late 2011 after the country has suffered from its worst droughts on record. Russia has played a growing role as an important food exporter to the global economy over the last decade, especially as an exporter of wheat. The fallout is already beginning as seen in last week’s deadly food riots in Mozambique after bread prices soared upwards by 30%. Inflation-Protection Strategies for Retirees… Many retirees are looking for ways to beat inflation with their investments. One of my favorite conservative investment strategies for retirees looking to a lifetime stream of income is annuities. For years, these financial products were scorned by the mainstream media who were drunk on mutual fund ad revenues. (Mutual funds are in direct competition for your investment dollars with insurance company products like annuities.) Unfortunately for the mutual fund industry, they don’t have a time-tested way of helping retirees not outlive their income. Insurance companies do through their annuity products. Forbes magazine offers a good piece containing some good inflation protection strategies — using annuities — for those wanting to protect their retirement savings dollars. You can read it here. 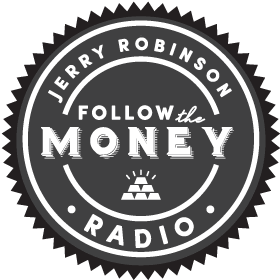 This Week’s FTMDaily.com Financial Strategy… Listen each week as Retirement Specialist, John Bearss, gives you creative financial strategies that are designed to help you provide the foundation of a lifetime of financial independence. Listen to this week’s financial strategy here.